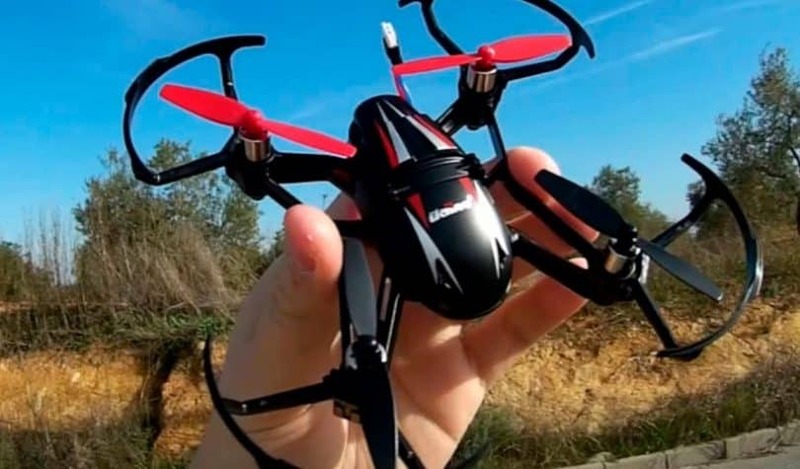 There are many drones on the market, and the hobby in of itself has attracted a lot of enthusiasts from all over the world and all walks of life. The standard interest in pilots, especially new ones, is to get the biggest, the fastest, and the flashiest drone out there, and if you are one of them, you can also check out our article about large drones. However, the more experienced and tried the pilots their interest shifts towards smaller drones which are a bit more special. The UDI U27 is one of these special drones, and right off the bat, you will be able to understand why. First of all, it is a very small drone. It might look big and intimidating, in pictures or on posters, but make no mistake about it, it will fit comfortably in the palm of your hand. 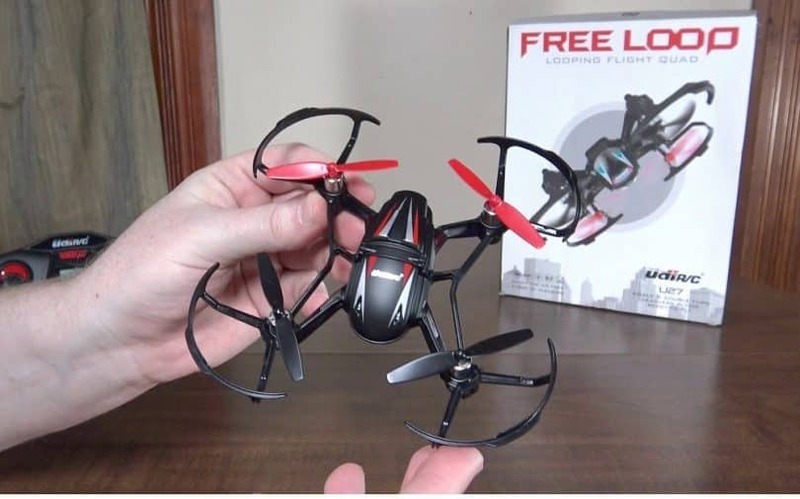 Even though it is a generally small drone, it manages to pack quite a punch and is actually able to deliver as much power, torque and lift as a medium-sized drone, but without the added weight and the extra drag. That being said, this drone is among most agile drones on the market, being able to do anything from flips, rolls, tight banks and tricks, all the way to stable and controlled upside down flight. UDI U27 is able to fly in places and face obstacles that most other drones cannot and it is at a very affordable price compared to all other drones of this caliber on the market. There is a catch though. High capacity batteries and strong powerful motors enable longer, more efficiently flight stability and precise location in the air. All that power and all that control packed into such a small drone, translate into a standard battery that is not the best. This also means a rather reduced flight time. However, this drone can be modified slightly in order to take in a larger battery, a bigger charge and various other such upgrades. Still, because of the reduced size and the frame limitations of the drone in question, these upgrades and modifications need to be small and simple. One thing you can easily do is overburdening and over-encumbering the drone, causing it to lose stability, power, agility, and in some cases even the power to lift itself off the ground at all. As long as everything is kept to a minimum and the pilot does not go overboard with mods and upgrades, this neat little drone is a very fun piece of kit, a great experience to fly and an all-around fun and exciting time. The U27, as stated earlier, is quite affordable. It is small, nimble and generally does not require much to fly. The drone is delivered in an almost RTF form and it only requires minor assembly. There is a slight issue, though: because of the very low price point of the drone, as well as the fact that there are a lot of online distributors out there, there are a lot of packaging options and alternatives. 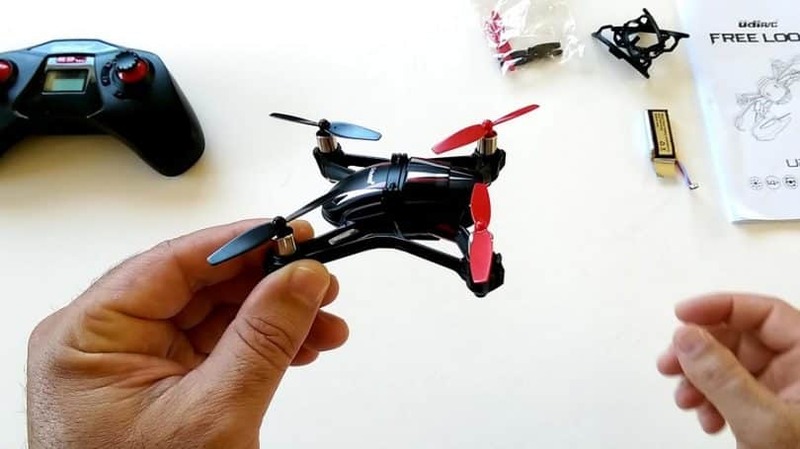 Experienced users recommend a few extra sets of propellers and around 5 or 6 extra batteries, depending on what you want to use the drone for and how long you plan on using it. To be noted here that if you plan on using 3rd party adapters, components, and add-ons, you will not really be in luck. Most distributors don’t offer any 3rd party solutions along with this drone. First and foremost, the UDI27 is a really small drone. It is so small that it can fit comfortably in an average palm. It is also incredibly lightweight and incredibly flexible because of its light plastic frame and flexible body. It is easy to keep track of it both during the day due to its dark colors and contrasting propellers and during the night due to the bright lights which shine and help you figure out where the drone is and where is pointing. When it comes to durability, many people will underestimate this drone. It is made out of light plastic and it is very flexible for a drone frame, which might give the impression the drone is cheaply made. Still, this is not actually the case as the frame is actually incredibly strong, and the fact that it is so flexible allows it absorb shocks a lot better than mode sturdy frames. The drone manages to survive crashes on concrete from respectable heights fairly well and it can also manage to fair rather well against objects, obstacles, and various other hazards while flying. The very important things that need mentioning here are the propeller guards. First and foremost, they are made out of lightweight plastic that is slightly more rigid and slightly more durable than the frame itself. However, this is done as a measure for more inexperienced pilots as well as people that are not used to flying small drones. While they do offer great protection for the propellers, they also add some extra weight to the aircraft, and it can result in slightly reduced flight performance. Luckily for pilots, the guards can be removed easily once the pilot is comfortable enough to do so. One of the massive downsides of this drone is the fact that it does not come with a camera. Also, because it is very small and lightweight, you won’t be able to properly attach a 3rd party or external camera. It can be done with a few modifications, but the result is less than satisfying. 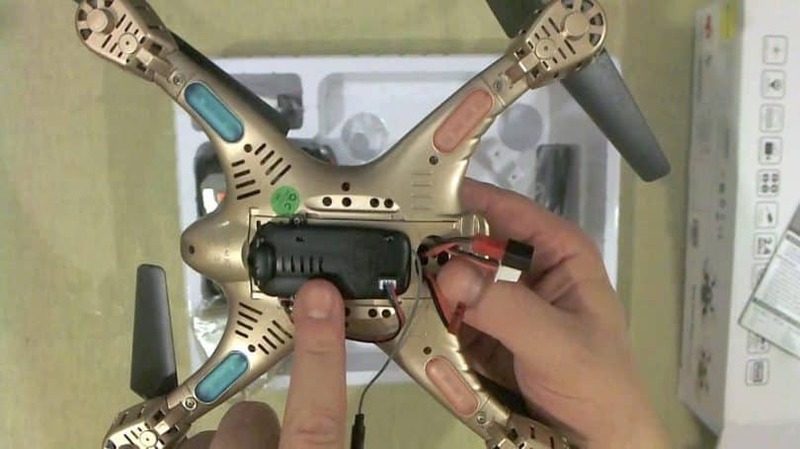 The flight time, flight control and overall experience are restricted as a result of this modification and the extra weight bolted to the drone. UDI U27 is more of a racing/stunt/leisure drone, made to be flown for fun and relaxation. It is a toy more than anything else and sadly it was not designed with photography, cinematography and various other such projects in mind. But, if you are looking for such models, we suggest that you check out our article about best camera drones. There are, however, some solutions out there that can work. Still, you should know that they are severely restricted from a performance point of view. There are little webcams and miniaturized versions of cameras that can be bolted on to the drone with minimal impact to the drone’s flight performance, but the main issue remains power. Whether you like it or not, in order to make such a camera actually work you will need to attach an extra battery pack to the drone which will result in extra weight and still reduce the performance of the drone. 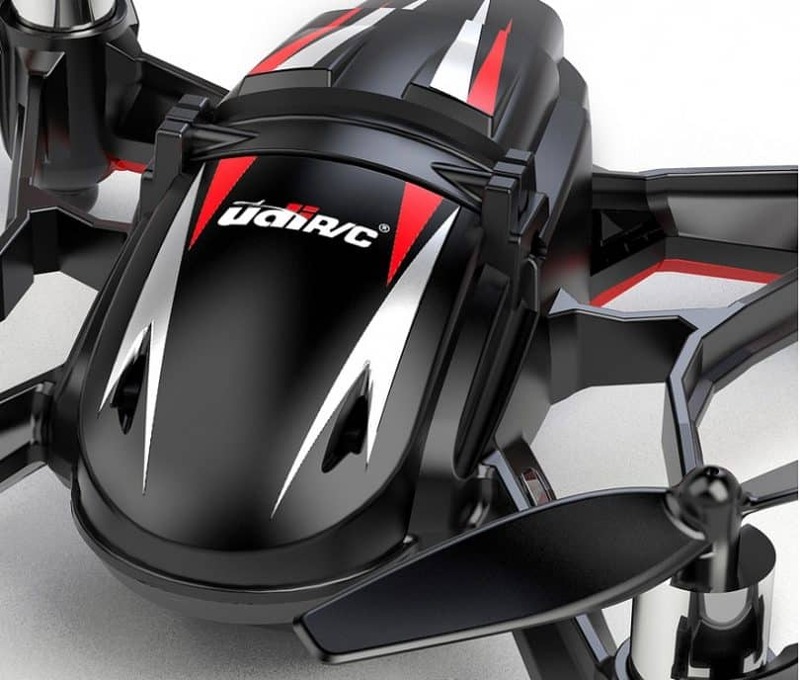 As mentioned earlier, battery life and flight time are the major concerns with this drone. Because of its small size, it goes without saying that the battery has to be very small and the smaller the battery, the smaller the charge that it can hold. This results in a smaller flight time, and the U27 is actually feeling the effects of it. 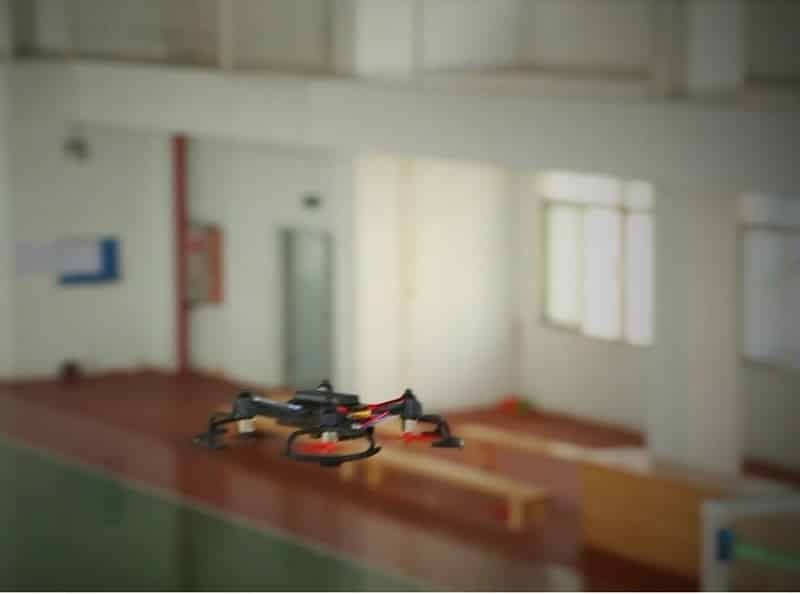 The drone is powered by a 3.7V 450mAh battery, which can give it a flight time of 5-6 minutes. The power loss can be felt at around 3 minutes of flight time. 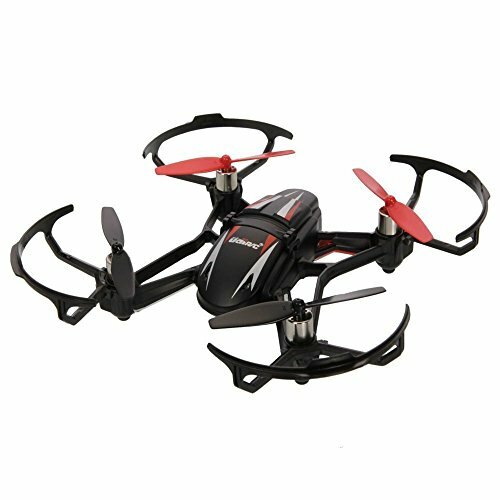 The recharge time for the battery is 50-60 minutes and it is often recommended that you purchase extra drone batteries. Here is where the UDI U27 starts shifting the playing field a little. The controller is very similar to a video game console which makes it ergonomic and easy to use. All controls are within reach of the thumbs and fingers naturally, without requiring the pilot to wear straps and pinch controls. The slight downside of this controller is the fact that it needs 4 AAA batteries and does not do well with rechargeable batteries. Here is where the U27 really shines as flying this nice little drone around is an incredibly fun experience. It can have stable and balanced flight even while upside down, and the flight controls are incredibly responsive. It features 3 flight modes and even a special headless mode. This one changes the direction quite easily without considering where the face of the drone is. Simply put, headless flight means that there is no more forward and backward from a drone’s point of view only from yours. 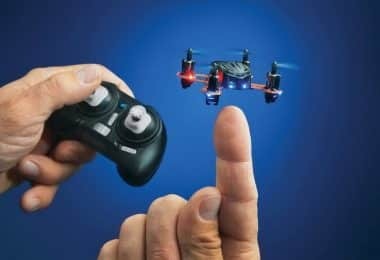 Another thing to mention here is the fact that this neat little drone is incredibly agile and fast, being able to perform a vast variety of tricks and stunts. It also does acrobatics that most drones on the market simply cannot. 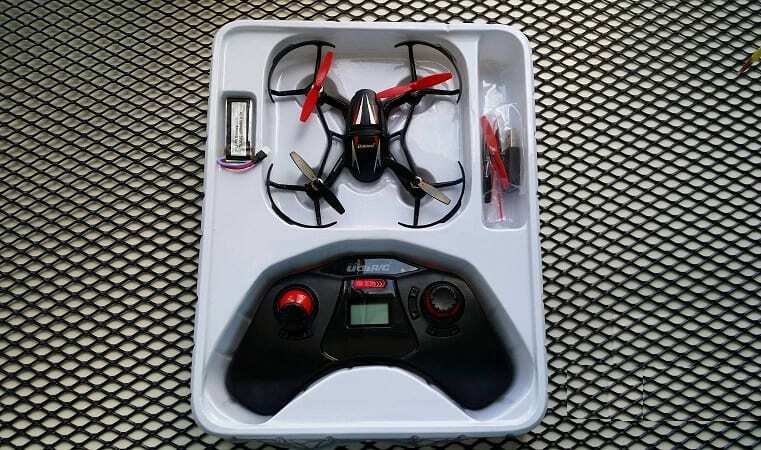 Before discussing the actual value for money it is very important that we understand first and foremost that UDI U27 is a very cheap and inexpensive drone. The standard kit retails around the $30 mark, which is actually slightly cheaper than an average meal. Spare parts are inexpensive as well, easily manufactured and readily available for purchase. Another interesting thing to point out is the fact that this drone is also easily repairable and maintained if something happens to it. However, we still have to factor in the fact that the flight time is severely reduced compared to other drones even in its price range. With a flight time of just 5 minutes, which is half of what other drones in its price bracket can actually achieve, and keeping in mind that it does not bring anything other than fun flight experience to the table, we cannot say the value of the drone justifies an increase above the $30-40 bracket. As for guarantees, the drone ships with a standard 2-year warranty which can easily be avoided if the pilot makes modifications or alterations to the craft. First off, the controller is emulating a video game console, with ergonomic shapes, easy to use controls centered on the thumbs, providing a fresh new alternative and a much more comfortable experience. The second feature that this drone brings to the table is agile flight. You can even fly this drone upside down for extended periods of time without losing its balance and power, which is not something that the many drones on the market are able to pull off successfully. The Zoopa Q55 is a more robust and slightly more expensive drone than the U27, however, it manages to bring enough to the table and mirror a lot of the features that the U27 brings. Firstly, the Q55 is not as agile but it is a lot more durable, being made out of a dense plastic and sporting a resistant body. With a flight time of around 10 minutes, the Q55 brings a lot of power and power management to the table as well. However, the downside of this drone is the actual flight performance. The Q55 looks like a block of plastic, and it certainly flies like one. With drastically reduced maneuverability and flight speed, the Q55 is a lot less enjoyable to fly than the U27. This might be another drone from the more affordable bracket but it is a very intimidating and interesting to fly one as well. First and foremost, it is able to compete with U27 based on the speed and agility that it manages to display, however, there is a catch. The X401H has a slightly elongated body, making it perfect for speed and maneuverability, but it is not so good when it comes to aerial acrobatics. 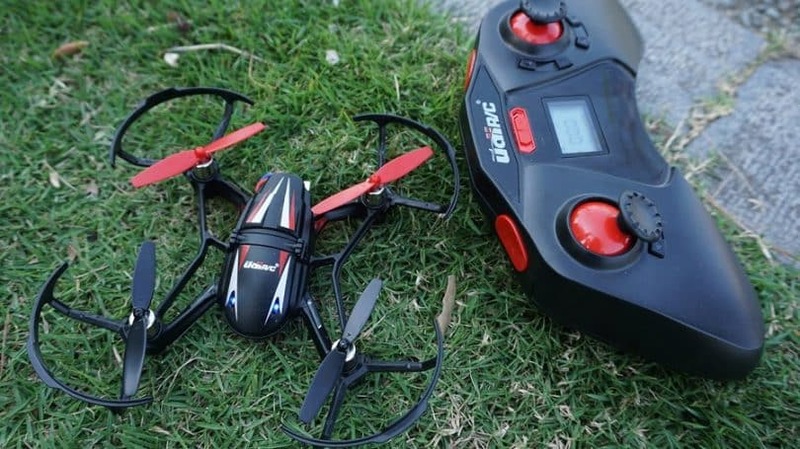 It is slightly more demanding on the battery while in flight and when being pushed to the limit. Overall, it is a very reliable and durable drone, managing to survive many crashes that drones go through regularly, especially with inexperienced pilots. Although at first glance this drone might be intimidating, it is actually great for inexperienced pilots. 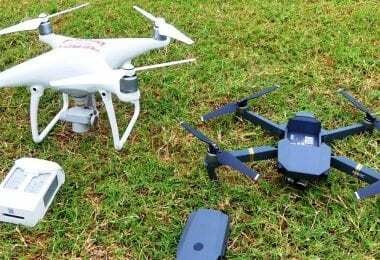 It offers a lot of control, a lot of strength and varying degrees of power in which the pilot can ease into while learning to fly the drone. When compared to the U27, the X4 is a lot more durable and a lot friendlier with new pilots. It is a lot more accessible and has a longer flight time but it is not as agile and not as fast as the U27. 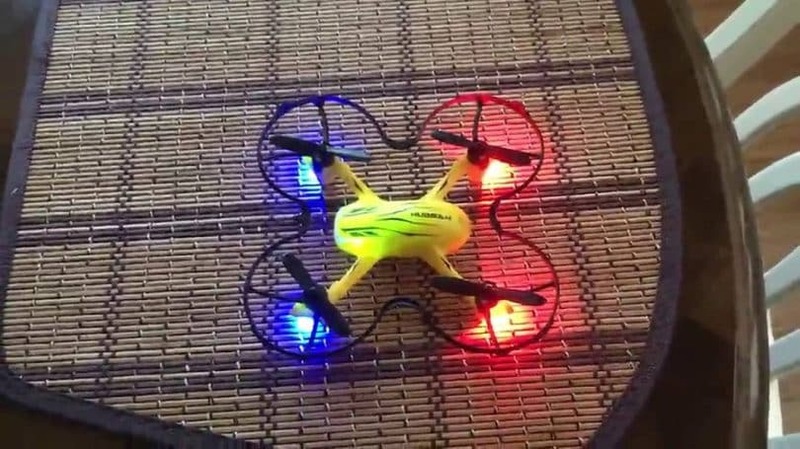 One last thing to mention about the X4 is the fact that the drone can be tuned and modified as you want. In fact, there are already various tuned and modified versions of the stock X4 being offered for sale by the very manufacturer himself. Flexible and durable enough to withstand a lot of abuse and a lot of crashes. In conclusion, the UDI U27 is the kind of drone that is not only incredibly cheap but also incredibly fun. It is not for everyone, and it will be a massive letdown for people looking for performance and actual applicability. However it is perfect for people looking to have a blast and a great time flying. Overall, the UDI U27 is a nice and neat little drone to have. It is inexpensive and it is able to provide quite a bit of enjoyment and fun, even though it has such a small flight time. It can also be a problem for people that are looking to purchase a more performance-focused machine. However, in general, it will provide the pilot with a good time and a lot of fun. If you are in the market for a cheap drone with which you can have some fun every now and again, then the U27 certainly is the best choice for you. Best Android Controlled Drone: Control On The Go! 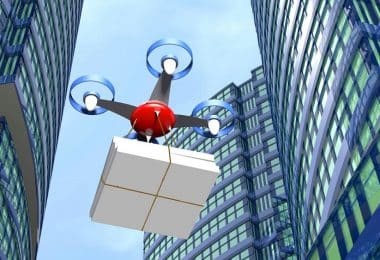 BLOG Delivery Drones: The Future of Delivery Business?